Volatility is back. An aging bull market is showing signs of stress. Interest rates are set to rise. Advisors want to know - what should we do? That's why I put together Understanding Tactical Investment Strategies. So you can start to 'think tactical.' Download your free copy today! - See important disclosures. 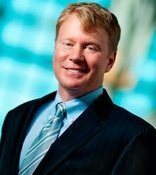 Tactical strategies respond proactively to market movements, allocating assets to rising asset classes, and avoiding falling ones. CMG's tactical strategies are comprised of equities, fixed income, cash and alternatives, for a truly diversified portfolio. Constructed to capture upside potential with downside protection, CMG tactical strategies aim to smooth the return stream over time. CMG tactical strategies can be a total portfolio solution or bundled with other investments. 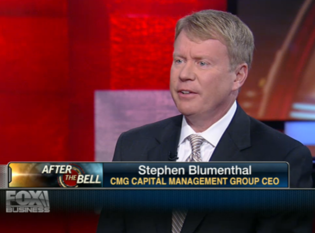 Steve Blumenthal, CEO of CMG Capital Management Group, is a pioneer and leader in tactical investing strategies for advisors, individuals, and institutions. The objective behind all of Mr. Blumenthal’s work is to help advisors build better portfolios by allocating with a long term game plan that is risk sensitive and properly diversified. Steve is a regular contributor to Forbes. and often quoted in major financial media on the markets, investing, and portfolio construction. * Downloading this White Paper will automatically sign you up for weekly updates from Advisor Central. Unsubscribe at any time. We don't spam or share emails with anyone, ever. Promise. Steve Blumenthal, author of this White Paper, is a Forbes contributor and frequently cited in major financial media on markets and investing.